Dr. 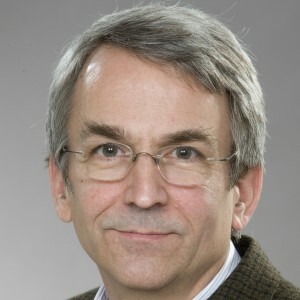 Frost received his BA in biology from Reed College in 1978, and his PhD in physiology from Columbia University in 1987. His postdoctoral research was at the University of Iowa. He was an assistant professor and then associate professor from 1989 to 1998 at the University of Texas Medical School at Houston. He joined the faculty of Chicago Medical School in 1998. How do neural networks process information, store memory and generate behavior? My laboratory investigates these issues using an array of techniques, including behavioral studies, intracellular electrophysiology, optical recording of network activity with voltage sensitive dyes, and realistic computer simulations of the networks under study. Our experimental preparation is an invertebrate model system, the marine mollusk Tritonia diomedea (below, left). This animal’s large, individually identifiable neurons (below, right) make it possible to return to the same specific neurons and synapses from preparation to preparation, allowing us to dissect their roles in network function. By focusing on issues common to all animals, we seek general principles of how networks of neurons perform their functions. Issues under investigation include the neural basis of decision-making, learning and memory, network multifunctionality, and prepulse inhibition. Upon being touched by the tube feet of predatory seastars, Tritonia launches its escape swim, consisting of a rhythmic series of ventral and dorsal whole-body flexions (below, left and see Escape Swim Behavior Movie). The circuit mediating this escape response (below, right) is one of the better understood in any animal, in part because the neural motor program it generates can be elicited and studied in successively reduced preparations, from the intact animal to the isolated brain (see Intact Animal Electrophysiology Movie). Upon detecting a mildly aversive stimulus, Tritonia takes its time while deciding whether or not to launch an escape response. Here we study the network processes mediating this decision-making process, which, as in humans, is strongly affected by experience encoded through learning. Our studies have identified a command structure for the Tritonia's decision-making process, and a potent role for plasticity in positive-feedback pathways. Relevant publications: Katz, P.S., et al., 1994; Frost and Katz, 1996; Katz and Frost, 1997; Frost, et al., 2001. Tritonia are very sensitive to past experience. An initial encounter with its predator induces an hour-long period of sensitization, during which a second encounter elicits swims having a lower threshold, shorter onset latency and higher number of flexion cycles. Repeated stimuli lead to behavioral habituation, the memory for which can last several days. We are studying the alterations in the swim network that encode these universal forms of nonassociative learning. Relevant publications: Frost, et al., 1996; Frost, et al., 1998; Mongeluzi and Frost, 2000; Wang and Frost, 2002; Popescu, et al., 2002; Frost and Wang, 2003; Frost, et al., 2006. Many neural networks are multifunctional -- they participate in multiple behavioral motor programs. We are interested in the mechanisms by which single networks can manage such versatility without confusion. The Tritonia swim network, for example, participates in three behaviors, crawling, swimming, and reflexive withdrawals. Relevant publications: Popescu and Frost, 2002. In prepulse inhibition (PPI), startle responses to sudden, unexpected stimuli are markedly attenuated if immediately preceded by a weak stimulus of almost any modality. This experimental paradigm exposes a potent inhibitory process, present in nervous systems from invertebrates to humans, that is widely considered to play an important role in reducing distraction during the processing of sensory input. The neural mechanisms mediating PPI are of considerable interest given evidence linking PPI deficits with some of the cognitive disorders of schizophrenia. In our laboratory we described the first example of PPI in an invertebrate, and have more recently identified the first specific cellular mechanisms for PPI in any organism. Relevant publications: Mongeluzi, et al., 1998; Frost, et al., 2003; Lee, et al., 2003. Our research involves several techniques, including behavioral studies, intracellular electrophysiology, realistic network modeling (Lieb and Frost, 1997; Frost, et al., 1997; Calin-Jagemin, et al., 2006) and most recently, optical recording of network activity with voltage sensitive dyes (Frost, et al., 2007; Hill, et. al., 2010; Frost, et. al., 2010). Optical recording of the pedal ganglion during an escape swim motor program. Each trace in the left panel displays the activity recorded from one of the 464 photodiodes of the array, which appears as the green hexagon of short line segments in the right panel, superimposed over an image of the ganglion. The positions of the optically recorded neurons are indicated with arrows. Traditional network studies using intracellular electrodes are limited by their inability to record from more than about 4 neurons simultaneously. A powerful new tool in our laboratory to overcome this limited view of network activity is optical recording, which allows us to record from dozens to hundreds of neurons simultaneously. We use a 464 element photodiode array in combination with a voltage sensitive dye to image the firing activity of entire networks of Tritonia neurons. To make it easier to integrate conventional intracellular recording into our optical recordings, we have assembled a novel hybrid microscope, part compound, part stereo. By superimposing a photograph of the ganglion with the optical array data we can determine the exact ganglion location of the neurons being recorded optically, which then guides our placement of intracellular electrodes into the neurons of interest. We are currently using this approach to identify new members of the Tritonia swim network. Brandon, C., Britton, M., Fan, D., Ferrier, A.R., Hill, E.S., Perez, A., Wang, J., Wang, N., and Frost, W.N. Serial-section atlas of the Tritonia pedal ganglion. J. Neuropysiol. doi.org/10.1152/jn.00670.2017. 2018. Lee, A.H., Brandon, C.L., Wang, J.W., and Frost, W.N. 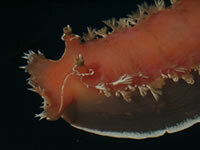 An argument for amphetamine-induced hallucinations in an invertebrate. Frontiers in Physiology. doi.org/10.3389/fphys.2018.00730. 2018. Bruno, A.M., Frost, W.N. and Humphries, M.D. A spiral attractor network drives rhythmic locomotion. eLife 2017;6:e27342 DOI: 10.7554/eLife.27342. 2017. Hill, E.S., Vasireddi, S.K., Wang, J., Bruno, A.M., and Frost, W.N. Watching a memory form – VSD imaging reveals a novel memory mechanism. Communicative & Integrative Biology, 9:5, e1212142, 1-3, 2016. Hill, E.S., Vasireddi, S.K., Wang, J., Bruno, A.M. and Frost, W.N. Memory formation in Tritonia via recruitment of variably-committed neurons. Current Biology, 25(22): 2879-2888, 2015. Frost, W.N., Brandon, C.J., Bruno, A.M.., Humphries, M.D., Moore-Kochlacs, C., Sejnowski, T.J., Wang, J. and Hill, E.S. Monitoring spiking activity of many individual neurons in invertebrate ganglia. Adv Exp Med Biol, 859: 127-145, 2015. Frost, W.N. and Wu, J.-Y. Voltage-sensitive dye imaging. In: Basic Electrophysiological Methods, E. Covey and M. Carter, Eds. Oxford University Press. New York. Chap. 8, pp. 169-195, 2015. Bruno, A.M., Frost, W.N. and Humphries, M.D. Modular deconstruction reveals the dynamical and physical building blocks of a locomotion motor program. Neuron, 86 (1): 304-318, 2015. (Subject of a preview article published in the same issue: Brownstone, R.M. and Stifani, N. Unraveling a locomotor network, many neurons at a time. Neuron, 86 (1): 9-11, 2015. Hill, E.S., Bruno, A.M. and Frost. W.N. Recent developments in VSD imaging of small neuronal networks. Learning and Memory. 21 (10): 499-505, 2014. Lee, A.H., Megalou, E., Wang, J. and Frost, W.N. Axonal conduction block as a novel mechanism of prepulse inhibition. J. Neurosci., 32(44): 15262-15270, 2012. Hill, E.S., Bruno, A.M., Vasireddi, S.K. and Frost, W.N. ICA applied to VSD imaging of invertebrate neuronal networks. In: Independent Component Analysis for Audio and Biosignal applications. Ganesh Naik, Ed., InTech. Chap. 12, pp. 235-246, 2012. Hill, E.S., Vasireddi, S.K., Bruno, A.M., Wang, J. and Frost, W.N. Variable neuronal participation in stereotypic motor programs. PloS One, 7(7): 1-11, e40579. Epub 2012 Jul 16. Frost, W.N. David W. McCandless (1941-2011): A personal tribute. Metab. Brain Dis. 26:157, 2011. Frost, W.N., Wang, J., Brandon, C.J., Moore-Kochlacs, C., Sejnowski, T.J. and Hill, E.S. Use of fast-responding voltage-sensitive dyes for large-scale recording of neuronal spiking activity with single-cell resolution. In: Membrane Potential Imaging in the Nervous System: Methods and Applications, Mario Canepari and Dejan Zecevic, Eds., Springer Press, 53-60, 2010. Hill, E.S., Moore-Kochlacs, C., Vasireddi, S.K., Sejnowski, T.J. and Frost, W.N. Validation of Independent Component Analysis for rapid spike sorting of optical recording data. J. Neurophysiology, 104:3721-3731, 2010. Megalou, E.V., Brandon, C.J. and Frost, W.N. Evidence that the Tritonia diomedea swim afferent neurons are glutamatergic. Biological Bulletin, 216: 103-112, 2009. Frost, W.N. and Megalou, E.V. Learning and Memory in Invertebrate Models: Tritonia. In: Encyclopedia of Neuroscience, Edited by Squire L., Elsevier, 401-404, 2009. Calin-Jageman, R., Tunstall, M., Mensh, B., Katz, P.S., and Frost, W.N. Parameter space analysis suggests multi-site plasticity contributes to motor pattern initiation in Tritonia. J. Neurophysiol. 98:2382-2398, 2007. Frost, W.N., Wang, J., and Brandon, C.J. A stereo-compound hybrid microscope for combined intracellular and optical recording of invertebrate neural network activity. 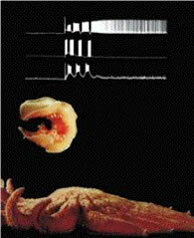 Journal of Neuroscience Methods. 162:148-154, 2007. Frost, W.N. Memory traces: Snails reveal a novel storage mechanism. Current Biology, 16:R640-641, 2006. Frost, W.N., Brandon, C.L., and Van Zyl, C. Long term habituation in the marine mollusc Tritonia diomedea. Biological Bulletin, 210:230-237, 2006. Frost, W.N., Tian, L.-M., Hoppe, T.A., Mongeluzi, D.L., and Wang, J. A cellular mechanism for prepulse inhibition. Neuron., 40:991-1001, 2003. Popescu, I.R. and Frost, W.N. Highly dissimilar behaviors mediated by a multifunctional network in the marine mollusc Tritonia diomedea. J. Neurosci., 22:1985-1993, 2002. Frost, W.N., Hoppe, T.A., Wang, J., and Tian, L.- M. Swim initiation neurons in Tritonia diomedea. Am. Zool. 41:952-961, 2001. Mongeluzi, D.L. and Frost, W.N. Dishabituation of the Tritonia escape swim. Learning and Memory, 7: 43-47, 2000. Mongeluzi, D.L., Hoppe, T.A. and Frost, W.N. Prepulse inhibition of the Tritonia escape swim. J. Neurosci., 18:8467-8472, 1998. Frost, W.N., Brandon, C.L. and Mongeluzi, D.L. Sensitization of the Tritonia escape swim. Neurobiology of Learning and Memory, 69:126-135, 1998. Katz, P.S. and Frost, W.N. Removal of spike frequency adaptation via neuromodulation intrinsic to the Tritonia escape swim central pattern generator. J. Neurosci., 17:7703-7713, 1997. Frost, W.N., Lieb, J.R., Tunstall, M.J., Mensh, B. and Katz, P.S. Integrate-and-fire simulations of two molluscan neural circuits. In: Neurons, networks and motor behavior, Stein, P. ed., MIT Press. Cambridge. pp. 173-179, 1997. Lieb, J.R., Jr. and Frost, W.N. Realistic simulation of the Aplysia siphon-withdrawal reflex circuit: Roles of circuit elements in producing motor output. J. Neurophysiol., 77:1249-1268, 1997. Brown, G., Frost, W.N. and Getting, P.A. Habituation and iterative potentiation of multiple components of the Tritonia swim response. Behav. Neurosci., 110:478-485, 1996. Frost, W.N. Brown, G. and Getting, P.A. Parametric features of habituation of swim cycle number in the marine mollusc Tritonia diomedea. Neurobiology of Learning and Memory., 65: 125-134, 1996. Katz, P.S. and Frost, W.N. Intrinsic neuromodulation: Altering neuronal circuits from within. Trends in Neurosci., 19:54-61, 1996. Frost, W.N. and Katz, P.S. Single neuron control over a complex motor program. Proc. Natl. Acad. Sci., USA, 93-422-426, 1996. Katz, P.S. and Frost, W.N. Intrinsic neuromodulation in the Tritonia swim CPG: Serotonin mediates both neuromodulation and neurotransmission by the dorsal swim interneurons. J. Neurophysiol., 74:2281-2294, 1995. Cleary, L.J., Byrne, J.H. and Frost, W.N. Role of interneurons in defensive withdrawal reflexes in Aplysia. Learning and Memory, 2:133-151, 1995. Noel, F., Frost, W.N., Tian, L.-M., Colicos, M.A. and Dash, P.K. Recovery of tail-elicited siphon-withdrawal reflex following unilateral axonal injury is associated with ipsi- and contralateral changes in gene expression in Aplysia californica. J. Neurosci., 15:6926-6938, 1995. Katz, P.S. and Frost, W.N. Intrinsic neuromodulation in the Tritonia swim CPG: The serotonergic dorsal swim interneurons act presynaptically to enhance transmitter release from interneuron C2. J. Neurosci., 15:6035-6045, 1995. Frost, W.N. and Kandel, E.R. Structure of the network mediating siphon-elicited siphon withdrawal in Aplysia. J. Neurophysiol., 73:2413-2427, 1995. Katz, P.S., Getting, P.A. and Frost, W.N. Dynamic neuromodulation of synaptic strength intrinsic to a central pattern generator circuit. Nature. 367:729-731, 1994. Frost, W.N. Invertebrate learning: Habituation and sensitization in Tritonia. In: The Encyclopedia of Learning and Memory, Squire, L.R. ed., Macmillan Publ. Co. New York. 1992, pp. 305-307. Frost, W.N., Clark, G.A. and Kandel, E.R. Parallel processing of short-term memory for sensitization in Aplysia. J. Neurobiol. 19:297-334, 1988. Castellucci, V.F., Frost, W.N., Goelet, P., Montarolo, P.G., Schacher, S., Morgan, J., Blumenfeld, H., and Kandel, E.R. Cell and molecular analysis of long-term sensitization in Aplysia. J. Physiol., Paris. (Gif Lect. in Neurobiol.) 81:349-357, 1986. Frost, W.N., Castellucci, V.F., Hawkins, R.D., and Kandel, E.R. 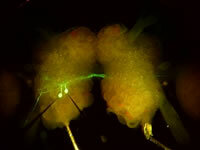 Monosynaptic connections made by the sensory neurons of the gill- and siphon-withdrawal reflex in Aplysia participate in the storage of long-term memory for sensitization. Proc. Natl. Acad. Sci., USA, 82:8266-8269, 1985.